Chrissy’s philosophy is to always treat the whole patient. Chrissy employs evidence-based medical practices, and believes empathy and compassion are crucial to support the health of her patients. 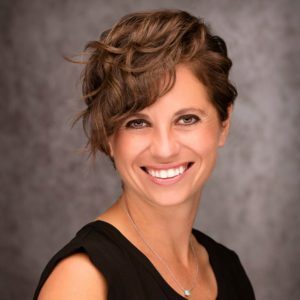 She strongly believes lifestyle changes can make a significant impact on overall health and is willing to spend extra time developing strategies geared toward leading a healthier life. Her approach to managing chronic disease is to look beyond the symptoms to treat the root of the problem. She also encourages a positive mindset and a healthy diet believing they can make a drastic impact on how you feel and how you can thrive. Having studied Spanish for most of her life, Chrissy is glad to be able to serve Spanish-speaking patients and welcomes patients from all backgrounds. Her favorite activity is rock climbing and she has enjoyed the beautiful state of Utah for all the outdoor opportunity it affords. Chrissy brings a fresh new perspective to Granite Peaks Gastroenterology and will have office hours in our Lehi and Sandy locations. Master’s Studies: Physician Assistant Studies, Pacific University in Oregon.